I’m last minuting again! Pictures will be added once I rescue them from my camera. 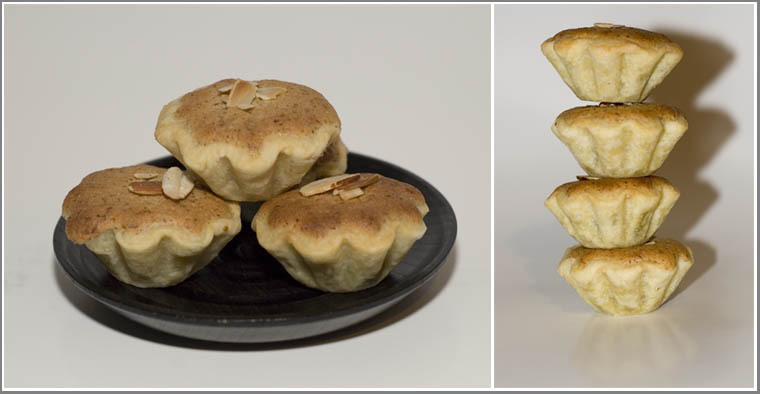 It’s the beginning of summer and the Daring Bakers throw me an easy one: Bakewell Tarts. 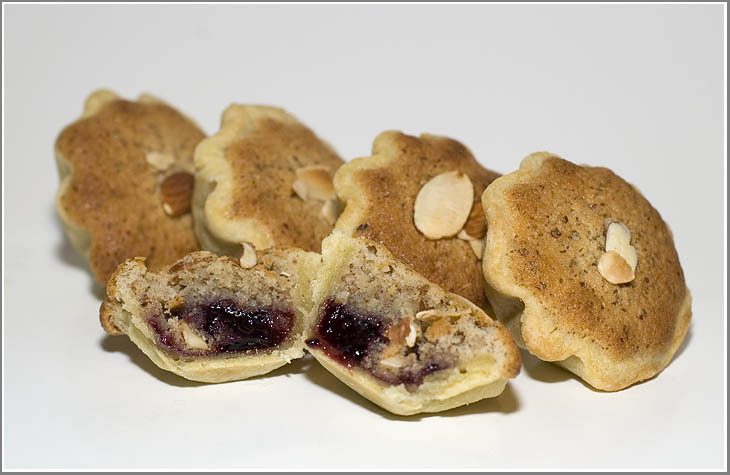 These little beauties are loaded with frangiapanne and a touch of jam. I’d almost have to say that these guys were a little bit too easy, but they’re just too yummy to pass up! I decided to stray away from the normal jams I usually keep in the house and grab a few flavors I don’t usually stock: Black Currant and Apricot. I thought both jams would go pretty well with the almonds and was not surprised when I tasted them. I’m a huge sucker for just about anything with frangiapanne so these will most likely make a comeback in the future. As you can see, these little tarts are easy to dress up and not at all hard to make. There’s a small time commitment in making the dough but even that isn’t all that hard. The flavors are easily varied and the shapes and sizes can be mixed up, too! Don’t be too worried about the lengthy recipe. It looks scary, but all of the elements are easy to make and the instructions are well-written. The best part about pastries like this is they go together very quickly and the ingredients are almost always on-hand!